Birds sing in a specific order each morning and this beautiful song book counts down the minutes to sunrise, bird song by bird song. 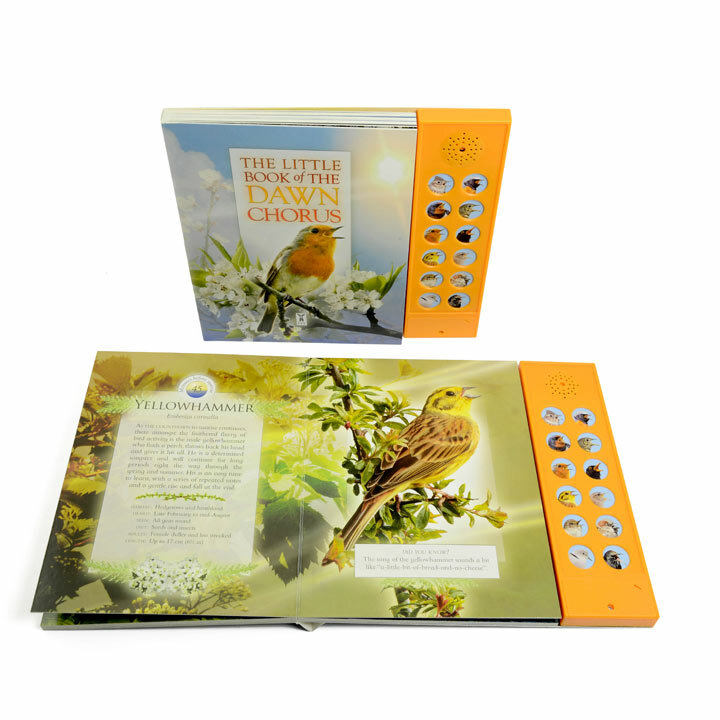 As well as playing each song, there is trivia and beautiful photography on each bird (including swallows, robins, blackbirds and sparrows), Press the buttons to hear the song of each bird in all its splendid glory so you can identify the bird the next time you hear the song. A great book for young and old nature lovers alike. 22 pages.